With a B.S. in Computer Science from Stanford University, and an M.S. in Computer Science and a Ph.D. in Learning Sciences from Northwestern University, she is an Associate Professor in the College of Computing and Digital Media at DePaul University in Chicago, and is the founder of Digital Youth Network and RemixLearning. Both organizations focus on developing digital literacies as tools for extending traditional literacies. In collaboration with the Chicago Public Library, Dr. Pinkard is also a co-founder of YOUmedia, a public learning space that immerses high school students in a context of traditional media – books – where they make and produce new media artifacts such as music, games, videos and virtual worlds. 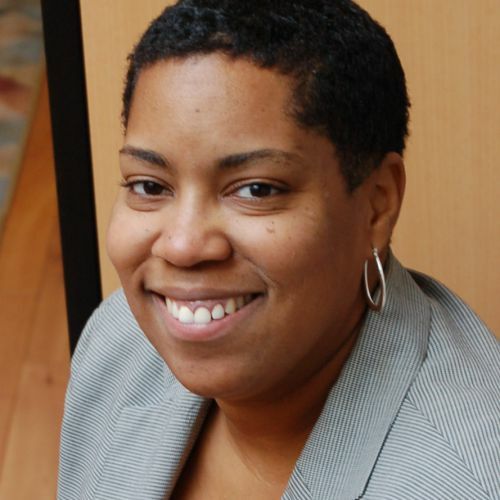 The recipient of a 2010 Common Sense Media Award for Outstanding Commitment to Creativity and Youth, the Jan Hawkins Award for Early Career Contributions to Humanistic Research and Scholarship in Learning Technologies, and an NSF Early CAREER Fellowship, Dr. Pinkard serves on the Boards of Institute of Play and ChicagoAllies.